Wishing Aaron Pauley a speedy recovery. 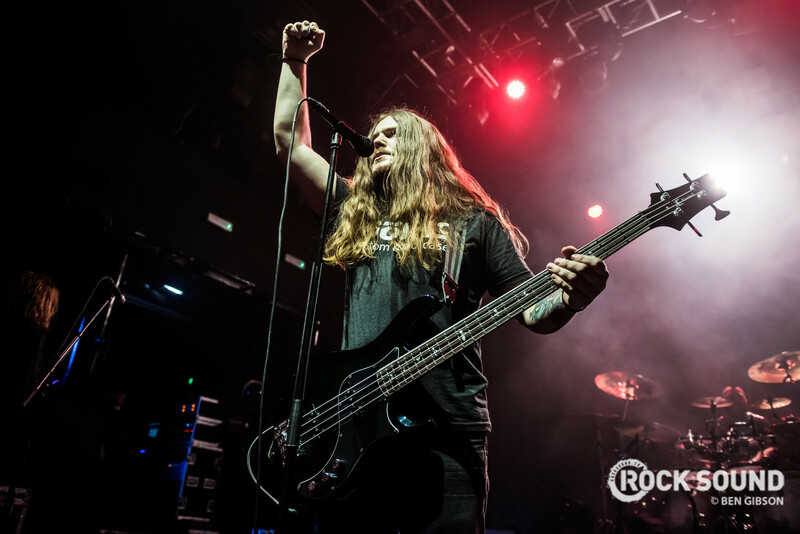 Earlier in the week Of Mice & Men were forced to cancel all upcoming tourdates for this week, after one of the members suffered a medical emergency requiring urgent surgery. Now they've announced that they will not be appearing on the upcoming Beartooth tour as scheduled, and will rejoin the tour on April 27, following So What Festival. Additionally, Of Mice & Men have shared more information on the medical emergency which has triggered the cancellations. In a short statement posted on Twitter they shared "On Monday, April 8th, Aaron became aware of a medical issue requiring immediate surgery. The surgery was performed yesterday without incident, and the issue is currently being evaluated." Aaron has also shared a statement on Twitter, addressing fan concerns that this most recent medical issue was connected to another medical issue last month which saw Aaron admitted to the ER. "For those worried, and to squash any fear or speculation, this surgery is unrelated to my ER visit last month," he shared. "The ER visit was simply a precaution given the symptoms I displayed at the time, and though it was scary, I was given a clean bill of health when I was discharged. While I can't go into detail about specifics in this issue yet, it's nothing that's arisen from any previous show cancelations or hospitalizations, and nothing related to my voice, nor is it an injury, or anything related to performing. I'll update with specifics as soon as I'm able to. Just know this was the best thing for my health, and while I'm sad to have to cancel shows, health has to come first. That being said, know that I'm healthy and healing, and the issue was addressed before it became far more serious. I'll see you all soon!" For those worried, and to squash any fear or speculation, this surgery is unrelated to my ER visit last month. The ER visit was simply a precaution given the symptoms I displayed at the time, and though it was scary, I was given a clean bill of health when I was discharged.